Johnny (John L) Morris, founder and CEO of Bass Pro Shops, got his start in 1972 by selling fishing tackle out of the back of his father's store. Since then, Johnny has earned a reputation as one of the most visionary and influential retailers of the last 50 years. Today he is known as a retail and travel destination pioneer. A young Johnny Morris with father John A, mother Genny and Uncle Charles fishing in the Ozarks at the "pot hole" below the Power Site Dam on the famous White River. Johnny's values were strongly shaped by his parents. 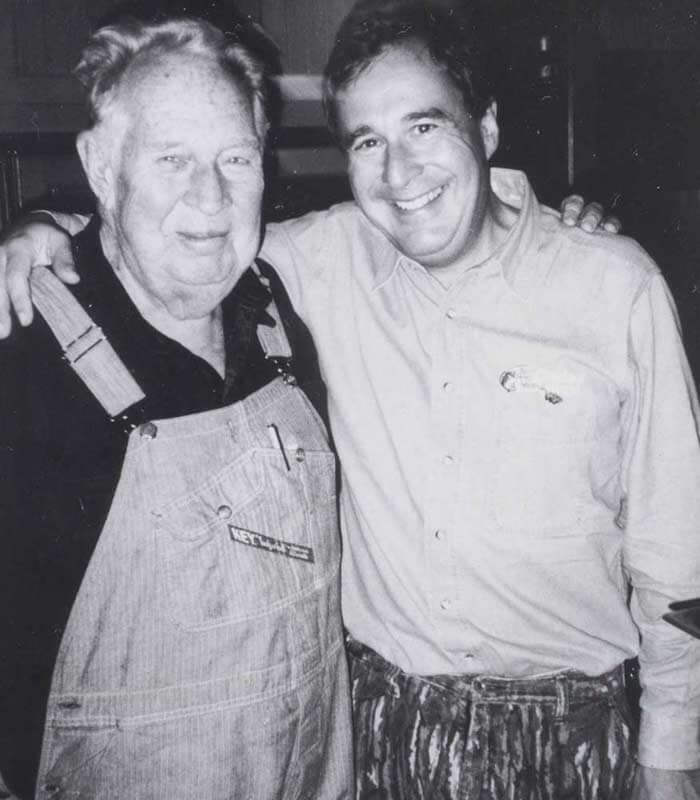 Both were born in 1911 to very humble beginnings in the heart of the Ozarks in Willard, Missouri. His mother Genny was one of ten children growing up in a two-bedroom house. His father John A. Morris grew up poor and was raised primarily by his Great Aunt. A decorated World War II veteran, he proudly served his country and participated in the Battle of the Bulge. Afterward he returned home to Missouri and became a successful merchant in the Springfield area. Johnny's parents both loved to hunt and fish and soon shared their passions with their son. From an early age, Johnny understood how fishing and hunting fostered a special respect and appreciation for nature and wildlife. At age 21, Johnny fell in love with the emerging sport of bass fishing and spent five years on the professional circuit. 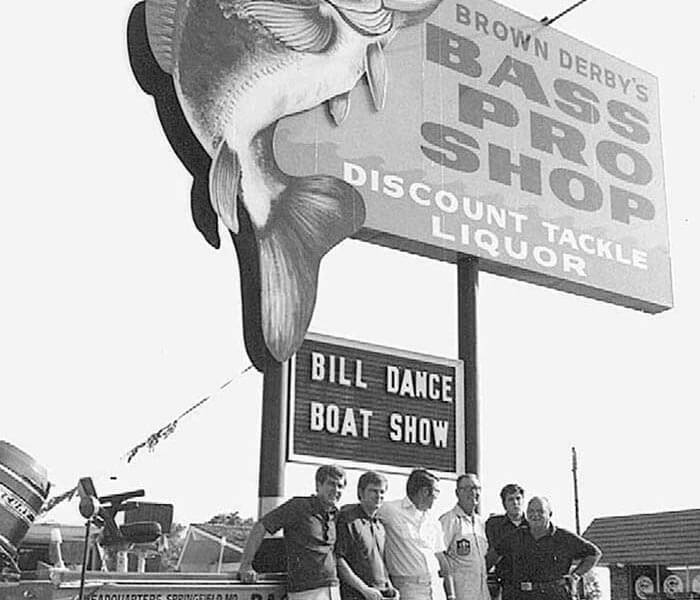 After noticing growing interest in the sport, Johnny started Bass Pro Shops with eight square feet of space in the back of his father's liquor store in Springfield, Missouri, the company's sole location for the first 13 years of business. Johnny's passion for the outdoors and his feel for the products and shopping experiences desired by outdoor enthusiasts helped transform the industry. 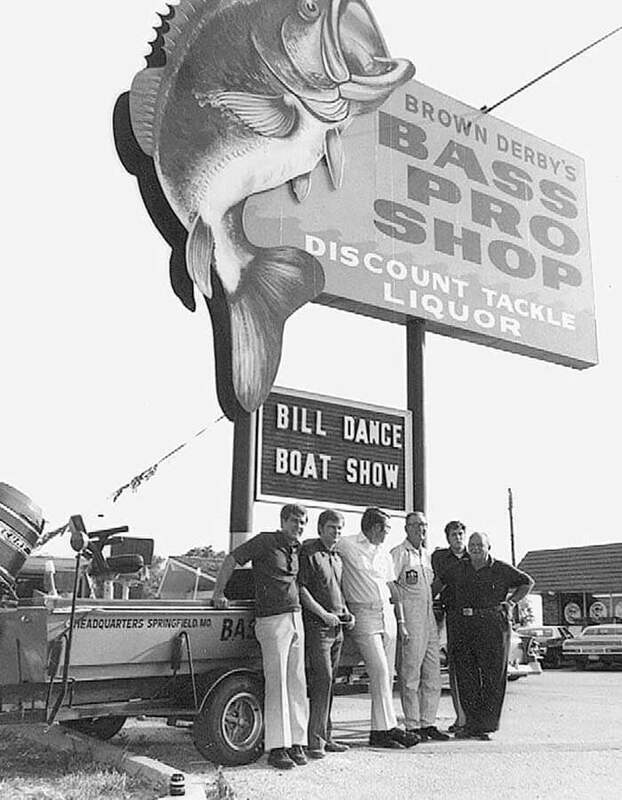 Legendary pro anglers Bill Dance, Johnny Morris and team at the original Bass Pro Shops grand opening. Johnny pioneered the concept of destination retail and created an outdoor gear enterprise that is one of the most beloved and well-recognized brands in North America. Today, Bass Pro Shops has nearly 200 retail stores and marine centers across North America and 40,000 associates welcome more than 200 million visitors annually. In 1978, Johnny Morris revolutionized the marine industry when he introduced Bass Tracker, the world's first "fish ready" professionally rigged and nationally marketed boat, motor and trailer package. For the first time, fishermen could buy quality fishing boats "factory direct" at tremendous savings, allowing thousands of families to access the water for the first time. The development allowed Tracker to compete aggressively against larger, more established brands. For more than 40 years running, Tracker has remained the number one selling fishing boat brand in America. In 2010, Tracker Marine Group surpassed Brunswick to become the leading boat manufacturer in the world. Almost 30 years ago Johnny began development on what is now Big Cedar Lodge. Today the nature-based resort hosts more than one million guests annually. Nestled in its own wooded hollow on more than 4,600 acres, Big Cedar Lodge rests on the shores the sparkling 50,000-acre Table Rock Lake and features a collection of lodges, cottages and cabins rooted in rustic elegance that come with all the modern comforts. Big Cedar also offers four restaurants, a world-class spa, five swimming pools, more than 20,000 square feet of flexible meeting space, and dynamic land and water adventures ranging from bass fishing, water skiing and lake cruises to campfire wagon tours and horseback riding. 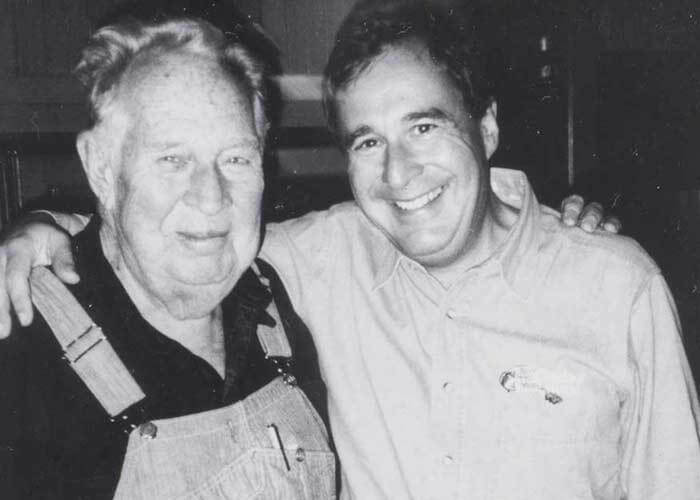 In conservation circles Bass Pro Shops founder Johnny Morris is often referred to as a modern-day Teddy Roosevelt for his leadership, personal commitment and dedication to conservation efforts. A conservationist at heart, Johnny Morris recognized the need for citizens to take a strong position in the careful management and use of our natural resources. Using his entrepreneurial success as a platform for that cause, he has contributed heavily both in time and resources to many significant conservation organizations and initiatives. From innovative products and retail destinations to world-class resorts and attractions, Johnny is driven by a passion for creating signature experiences that help families connect to nature and each other. Natural beauty, quality craftsmanship, attention to detail and family fun are the hallmarks of every project Johnny pursues.